Feel free to ring me on (02) 5698 5284, or email me (go to contact page) for offers or questions. The landscape sketch is a fine art form in its own right. I like the different qualities I can get with a sketch in comparison with a landscape painting. Sketching is a quicker way to work and produces a different result. 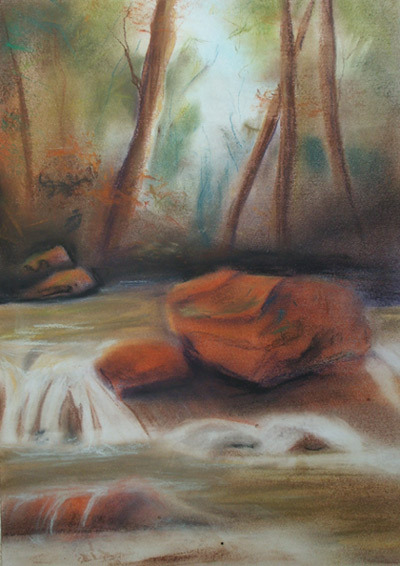 A loose, quick pencil sketch can be as effective as the most patiently laboured-over painting. I hope to venture into the digital art landscape when time permits. 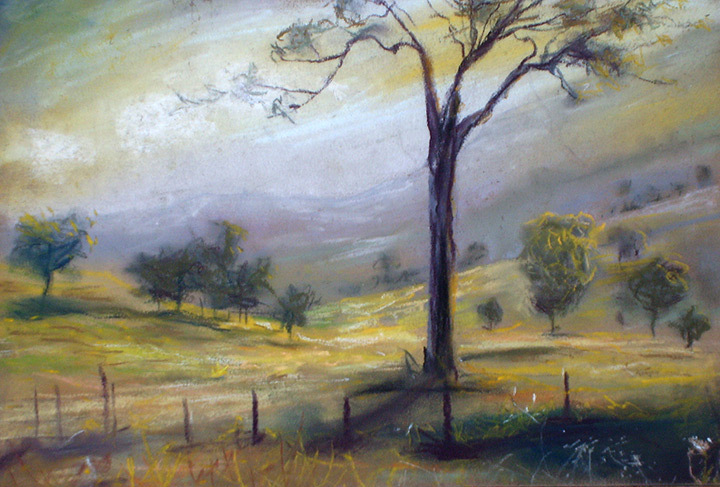 Landscape art drawing is in many ways the most difficult type of drawing to undertake. 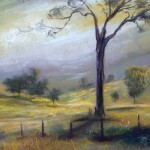 It takes a special and unique use of paint to successfully represent a landscape. 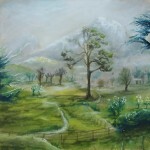 Many people can draw, but not a lot can draw a fine art landscape drawing which works. Some abstract landscape painting is an exception to this. 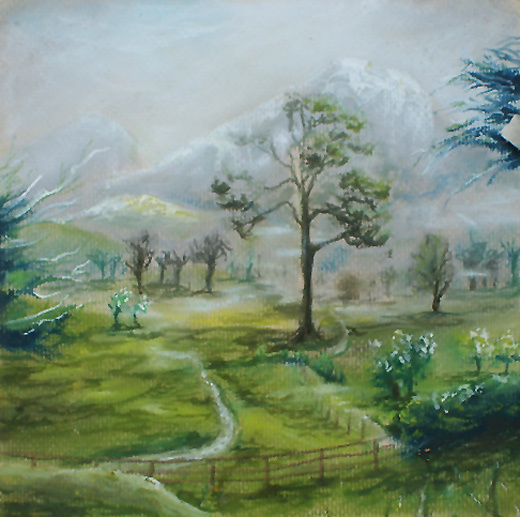 The range of techniques required to suggest a tree; to paint grass; to represent water; to paint the airy lightness of sky and clouds is so varied. It takes some time to master the skills needed. 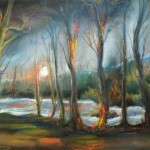 The fine art landscape needs something to cause it to stand out from the crowd. Different cultures around the world have represented the landscape in unique ways. Compare the light used by Streeton or Roberts in representing the Australian landscape to the light which dominates the works of European artists or the Japanese or Chinese ways of depicting the landscape. 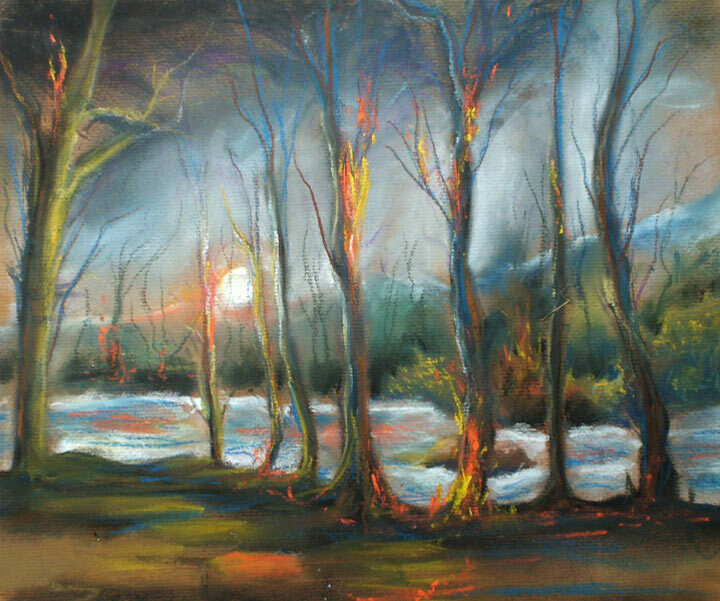 One new popular style of landscape art is the western art landscape (mostly of America) where the light is often dramatic especially in mountain scenes. 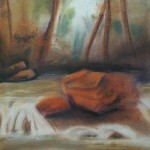 The difference between a landscape painting and a landscape sketch is the time needed to complete the work. Sketches are usually done from life. They need to be done much more quickly. This gives the work more movement and freshness of colour.